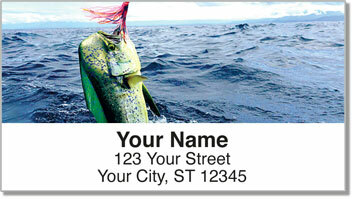 Fishing is more than just another outdoor sport. Some people reduce their stress through yoga and meditation. But you head out on the water to create those moments of peace and tranquility. Fishing isn't always about coming home with a huge catches. It's about a quiet anticipation that every time you cast your line there is a chance something might take the bait. 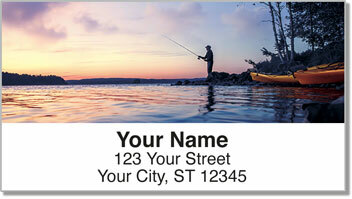 Show everyone you mail what you'd rather be doing when you choose Gone Fishing Address Labels from CheckAdvantage. 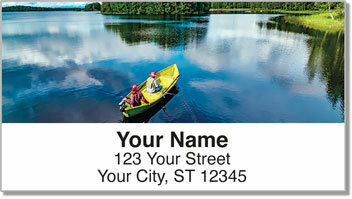 They capture the beauty of an afternoon in nature with a boat a tackle box and a few buddies. 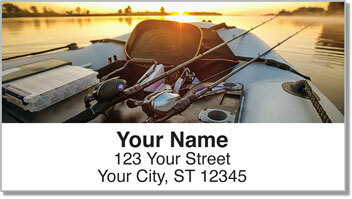 Get your own Gone Fishing Address Labels right now! This unique design is also available as set of personal checks.